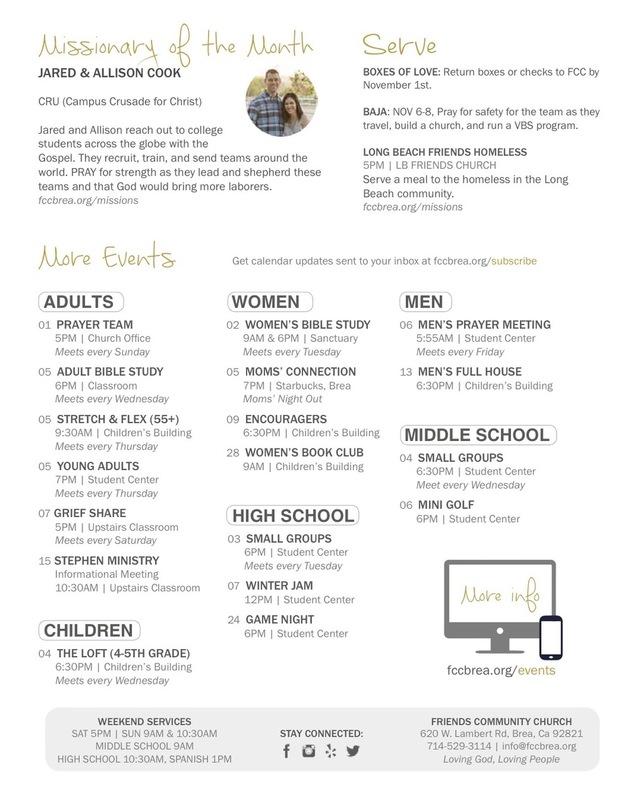 Events calendar for Friends Community Church. This one page solution was designed to replace an events book that was produced every 3 months. Project reduced cost of print resources, staff time and volunteer time significantly, and stays up to date much more easily. RESPONSIBLE FOR: Strategy, project cost analysis, template design and monthly design/input of information. © 2018 Beth Paulsen. All Rights Reserved.